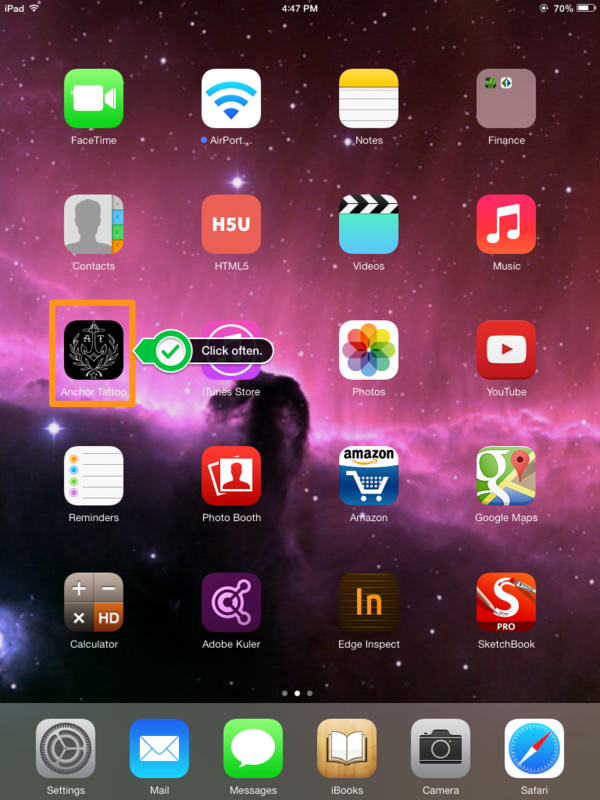 How to add Anchor Tattoo's web app to your home screen. iOS 7 friendly. Greetings friends. I'm Chris Eisenbraun, Anchors resident Web developer. Interested in adding the free Anchor Tattoo web app to your mobile devices home screen? Great! Confused on how to do this with the recently released iOS 7? Let's clear up that up in 4 easy steps. Please note, the steps are very similar in older versions of iOS & Andriod. 1. While on your favorite page on Anchor Tattoo tap this icon. 4. You can now click the Anchor Tattoo icon to go directly to the website.